Character - Scavenger. Points: 8. Health: 7. 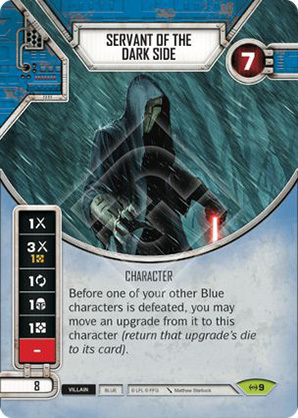 Before one of your other Blue characters is defeated, you may move an upgrade from it to this character (return that upgrade's die to its card).